Portfolium.com, the ePortfolio network that helps students transform learning into opportunity, has announced expanded roll-outs to 32,000 students and 100,000+ alumni of UC San Diego. Portfolium has also recently provided ePortfolios to 18,000 students and 60,000 alumni at UC Santa Cruz. Portfolium connects UC students, faculty and alumni together through their academic and lifelong learning journeys, while allowing employers to use a tool called TalentMatch to find and assess learners based on the skills proven in their ePortfolios. 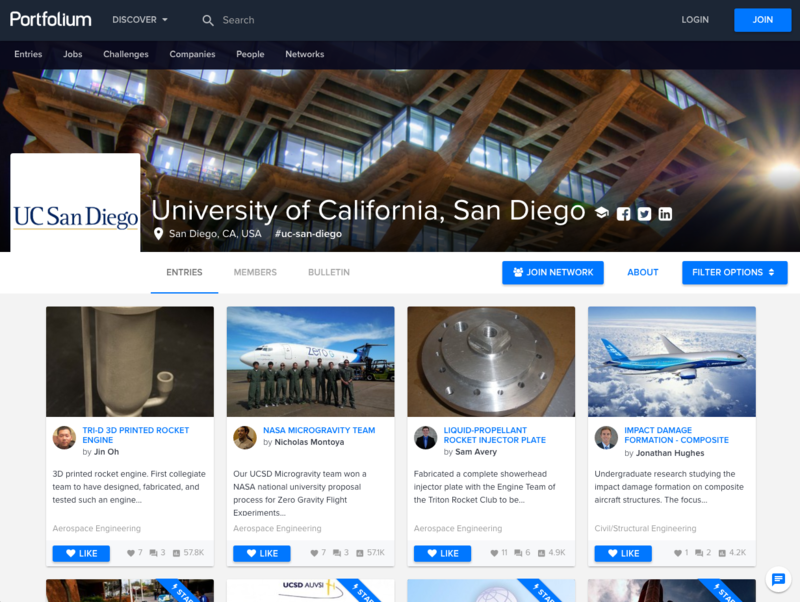 "Portfolium has quickly become an integral component of UC San Diego’s professional development electronic toolkit for both students and alumni. 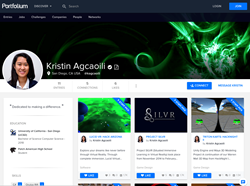 Students are leveraging Portfolium’s powerful features and ease of use to visually display and share their work expanding their marketability to both employers and graduate schools. Additionally, it is now being integrated into the academic landscape as a tool for self-reflection, decision making, and display of work in course capstone projects. Our students and alumni now have an outstanding e-Portfolio tool to have support their lifelong professional success and mobility," said Craig Schmidt, Executive Director, Career and Professional Development at UC San Diego. "The prestigious University of California's broad integration of Portfolium into the fabric of the academic experience is a bellwether for what is to come nationwide," said Portfolium's founder & CEO, Adam Markowitz. "We have truly achieved liftoff on our mission to help students across all academic strata connect learning to opportunity." Portfolium partners with colleges & universities to help students transform learning into opportunity. Our ePortfolio network helps 5M+ students from over 150 partner institutions manage their skills and launch their careers. Portfolium’s cloud-based platform empowers students with lifelong opportunities to capture, curate, and convert skills into job offers, while giving learning institutions and employers the tools they need to assess competencies and recruit talent. The University of California's campuses boast large numbers of distinguished faculty in almost every field and it is widely regarded as one of the top university systems in the world. The University of California has won more Nobel Prizes than any other collegiate system. The universities within the University of California system are perennially ranked highly by various publications. Most notably, UC Berkeley and UCLA are both ranked as Top 10 Universities worldwide by U.S. News & World Report. UC Berkeley, UCLA, and UC San Diego are respectively ranked 4th, 12th, and 14th worldwide by the Academic Ranking of World Universities.